The SN65HVD233 is used in applications employing the controller area network (CAN) serial communication physical layer in accordance with the ISO 11898 standard. As a CAN transceiver, it provides transmit and receive capability between the differential CAN bus and a CAN controller, with signaling rates up to 1 Mbps. The ADC12D1600QML is a low power, high performance CMOS analog-to-digital converter that digitizes signals at a 12-bit resolution at sampling rates up to 3.2 GSPS in an interleaved mode. 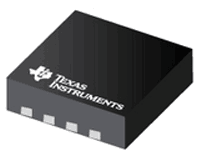 It can also be used as a dual channel ADC for sampling rates up to 1.6 GSPS. For sampling rates below 800 MHz, there is a Low Sampling Power Saving Mode (LSPSM) that reduces power consumption to less than 1.4 W per channel (typical). The ADC can support conversion rates as low as 200 MSPS.